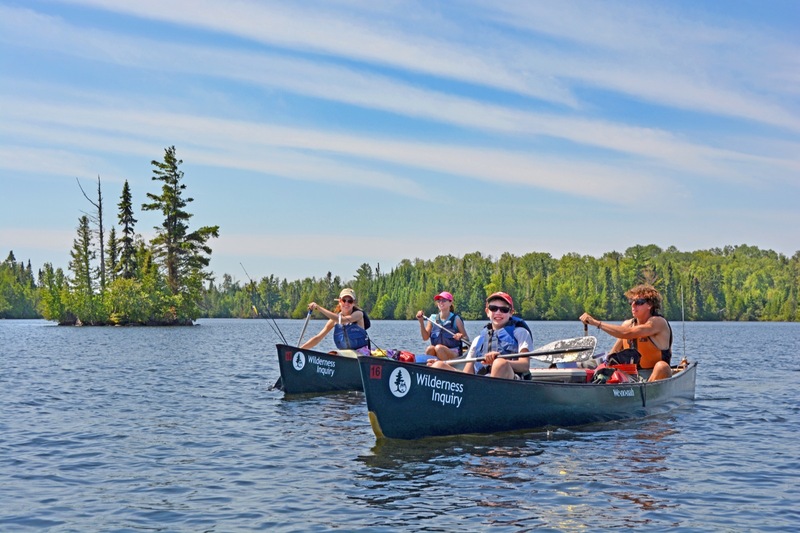 Explore, paddle, fish, and swim from a base camp on Crescent Lake in the Superior National Forest. 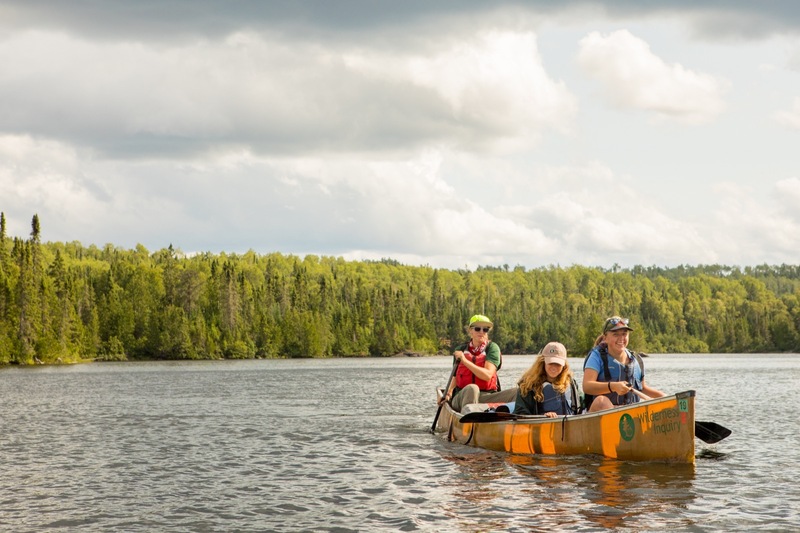 Take day canoe trips into the famed Boundary Waters Canoe Area Wilderness and experience portaging with only a day pack to carry. 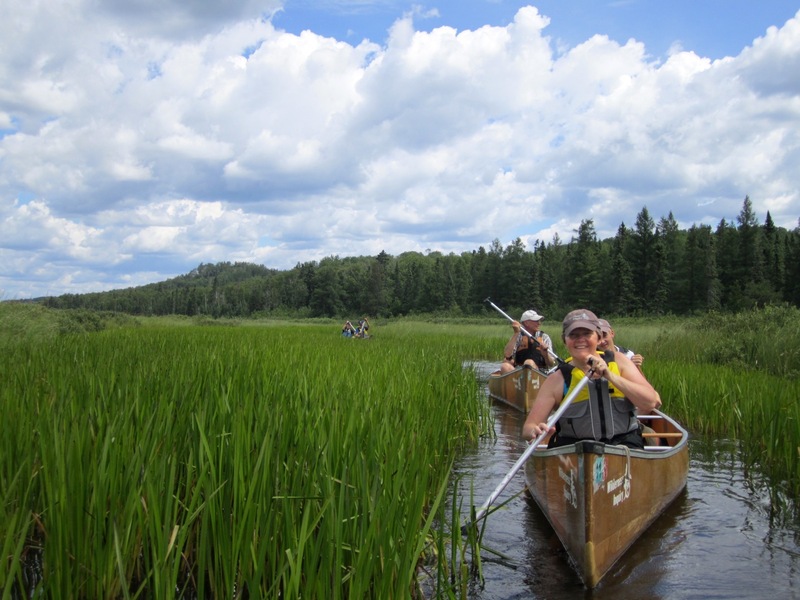 Take a break from paddling to hike up Eagle Mountain, the highest point in Minnesota. Return to the group campsite each afternoon with time for fishing and swimming before dinner. Enjoy s’mores around the fire under the star-filled sky as you plan the adventure for the next day. 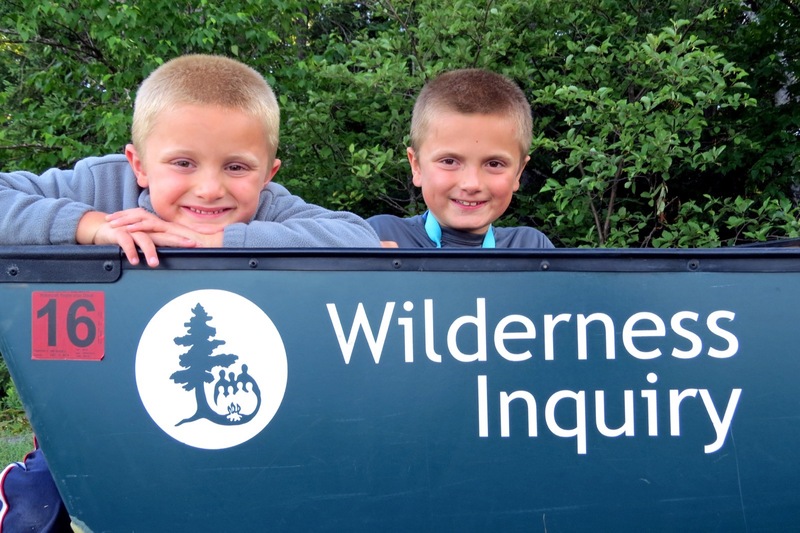 This is a great trip for the whole family and no experience is necessary. Day 1: Meet your trip mates and enjoy an afternoon paddle on Crescent Lake. 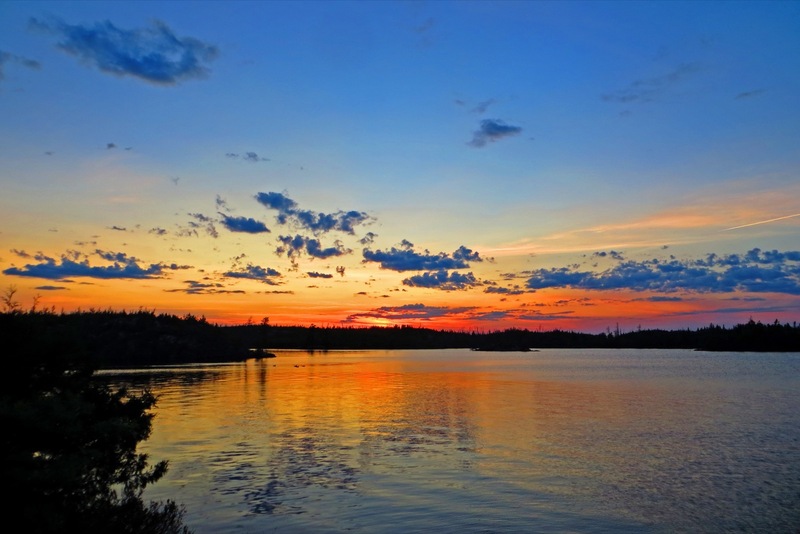 Your trip starts in the afternoon at the campsite on Crescent Lake in the Superior National Forest, on the edge of the BWCA. 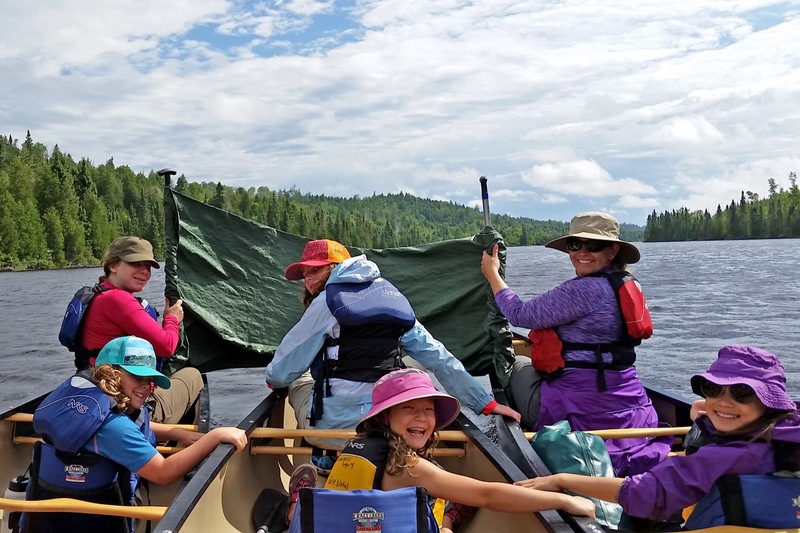 Meet your group, settle in to your campsite, and go on an introductory paddle on Crescent Lake. After dinner, enjoy stories and s’mores under the stars. 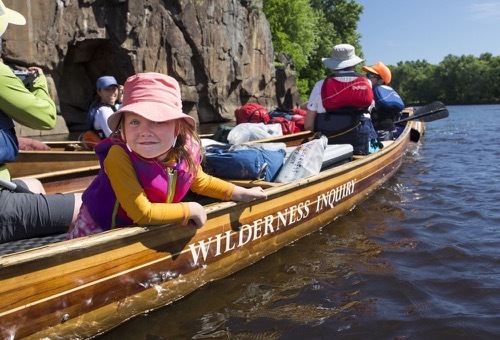 Day 2: Spend the day paddling Minnesota's famous lake country wilderness. Get up early to make breakfast and get ready for the day's adventures. 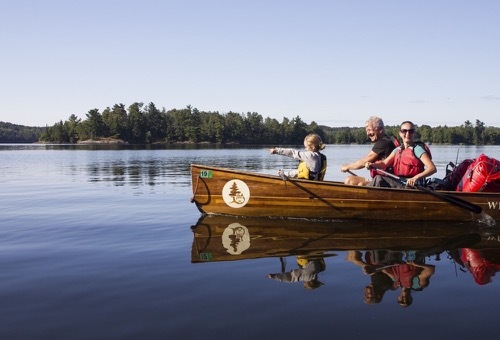 Head to Sawbill Lake for a full day canoe trip in Minnesota’s famous lake country wilderness. The group may split into two groups for the paddle to better appreciate the solitude and stillness. Compare your experiences over a lively dinner. Day 3: Hike to Eagle Mountain, the highest point in Minnesota. 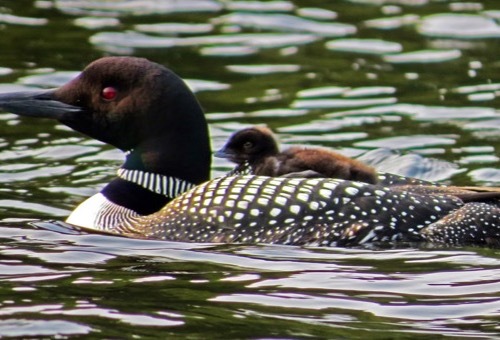 Today, you may opt to hike to the top of Eagle Mountain, the highest point in Minnesota. Or if you are looking for a more relaxing day, enjoy Crescent Lake by swimming, fishing, or exploring the surrounding streams. Come back to camp as a whole group for dinner and star gazing. 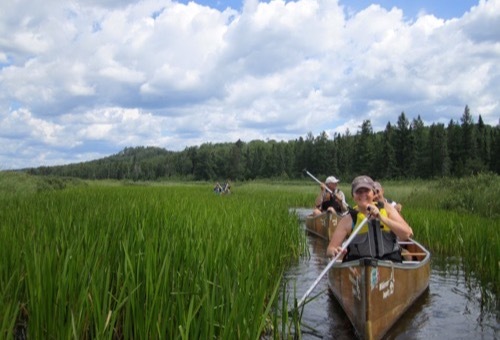 Day 4: Spend the day paddling, fishing, and swimming in the pristine waters of the BWCA. 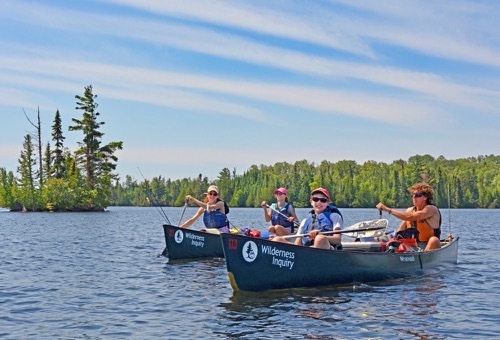 Head into the BWCA once again to explore a different lake. Keep your eyes peeled for eagles and try your luck at fishing during lunch. Get back to the campsite in time to enjoy a dip in the lake. Day 5: Enjoy one final paddle before saying farewell to your trip mates. 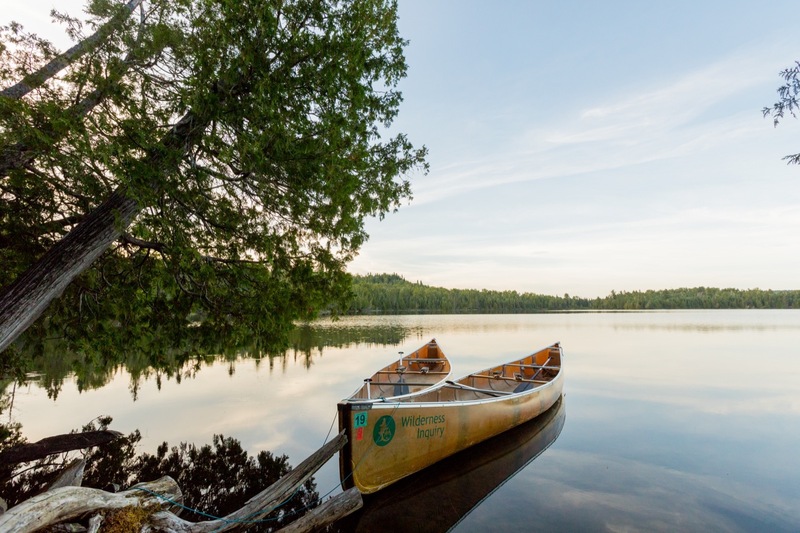 Break camp and go on one last paddle on Crescent Lake. The trip officially ends in the early afternoon. Those who use WI's van transportation can expect to return to Minneapolis in the evening. TERRAIN/ROUTE CHOICES: At night you will camp in the Superior National Forest, which lies on the Canadian Shield, an area characterized by exposed granite with a thin layer of topsoil. This terrain is the result of glaciers scraping and grinding 10,000 years ago. The lakes and trails make this area one of the most accessible wilderness areas in the country. TYPE OF TRAVEL/DISTANCE: This trip is recommended for families with children age 3 and older. 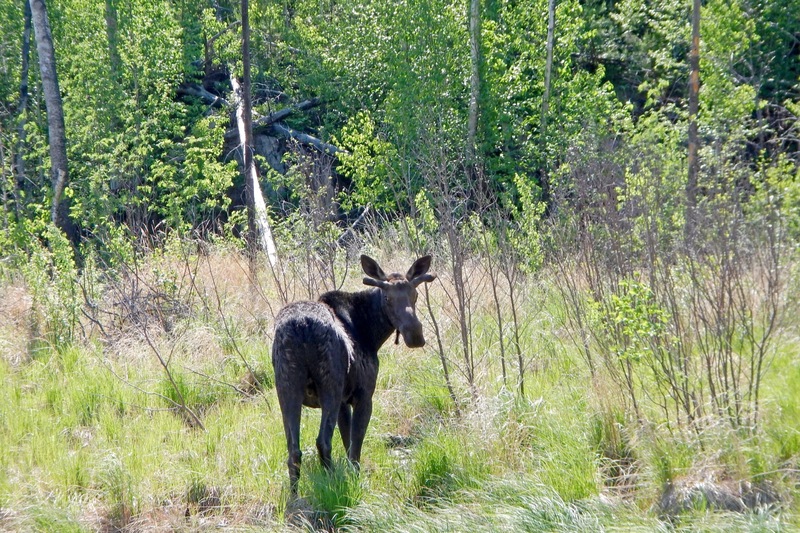 It is a kid-friendly camping trip that is also great for teenagers. 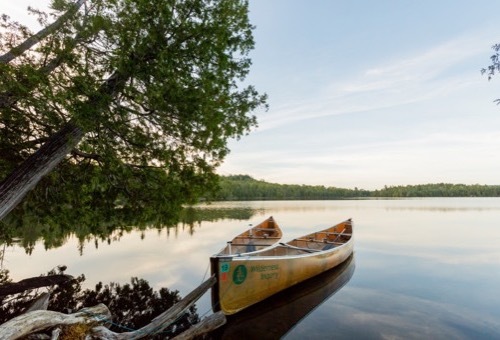 You will go on day trips in 18-foot canoes, which hold two to three paddlers, plus all necessary gear. 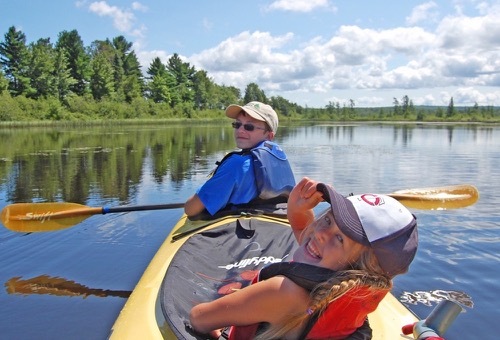 An average day’s travel consists of 2-4 hours of paddling or hiking, depending on the ages and attention spans of the children participating. Expect 1-2 portages (short trail crossings) per paddling trip. WEATHER: Temperatures in the summer months range from 40 F to 95 F. Rainfall can vary, but you should expect at least a day or two of rain. 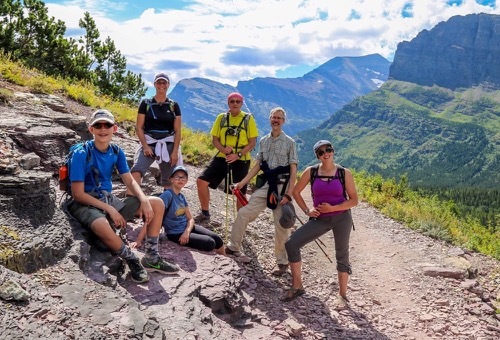 YOUR GROUP: The group size ranges from 6 to 12 participants, plus 2 or more Wilderness Inquiry staff. Each group consists of people of various ages, backgrounds, and abilities, including people with disabilities. Our trips are cooperative in nature. WI staff will assist you in whatever areas you need, however, most people pitch in where they can. ACCOMMODATIONS: At night you will sleep in a comfortable 4-person tent with 3-4 people per a tent (other arrangements can be made). Bathroom facilities consist of a USDA Forest Service outhouse. MEALS: The food we bring is plentiful, nutritious, and kid friendly! Enjoy hearty breakfasts, trail lunches, a variety of snacks, and delicious dinners with desserts. If you have special dietary restrictions, be sure to list them on your registration. 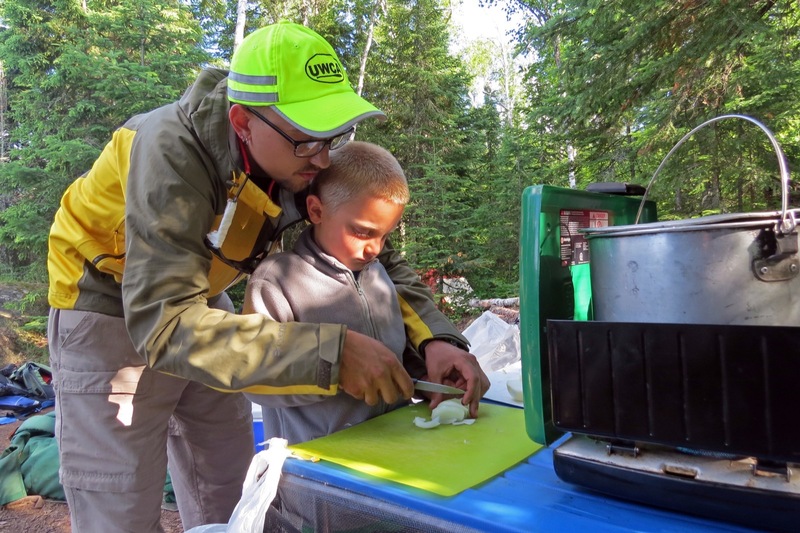 FISHING: Fishing is great in the Superior National Forest and BWCA! We suggest bringing your own fishing pole and tackle. 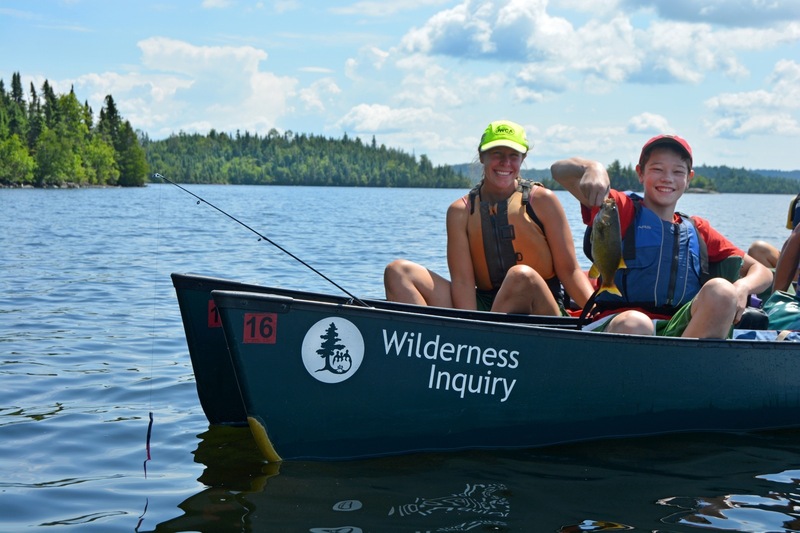 Don’t forget a MN fishing license for anyone over the age of 16. This trip officially begins at 1:30 PM at a campground in northern Minnesota on the first day of the trip. The trip ends at 11:30 AM at the same location. The campground location will be confirmed prior to your trip start. 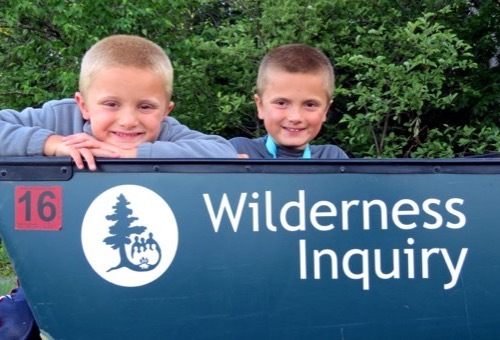 You can take your own transportation or meet at 6:30 AM for a shuttle at the Wilderness Inquiry headquarters in Minneapolis on the first day of your trip for an additional fee. The shuttle returns to Minneapolis at 6:00 PM on the last day of your trip. Detailed meeting place instructions will be sent to you when you are confirmed for your trip. Booking a Flight? We recommend flying in to the Minneapolis St. Paul International Airport the night before your trip, and flying out from Minneapolis St Paul International Airport after 8:30 PM.